TASTEFULLY DECORATED TURN KEY FURNISHED VILLA IN TERRA CEIA GOLF AND COUNTRY CLUB. PEACEFUL SETTING AND NEAR COMMUNITY POOL. LAKE AND GOLF COURSE VIEW FROM THE SPACIOUS LANAI. 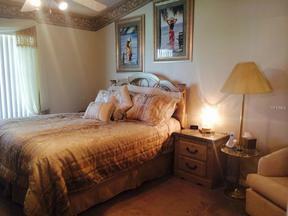 3 BEDROOMS, MASTER HAS QUEEN BED, 2ND BEDROOM A FULL BED AND 3RD BEDROOM A DAY BED. MANY AMENITIES - RESTAURANT, CLUBHOUSE, FITNESS CENTER, TENNIS, FISHING PIER AND NATURE TRAILS. BEAUTIFUL PLACE TO SPEND THE WINTER OR FALL. 90 DAY MINIMUM FROM DECEMBER - APRIL $3200/mo 60 DAY MINIMUM JULY AUGUST, OCTOBER $2550/mo. ABSOLUTELY NO PETS ALLOWED. NON SMOKING. OWNER HAS CAR IN GARAGE ON ONE SIDE. CALL TODAY FOR AVAILABILITY. RENTED JAN-MARCH 2020.